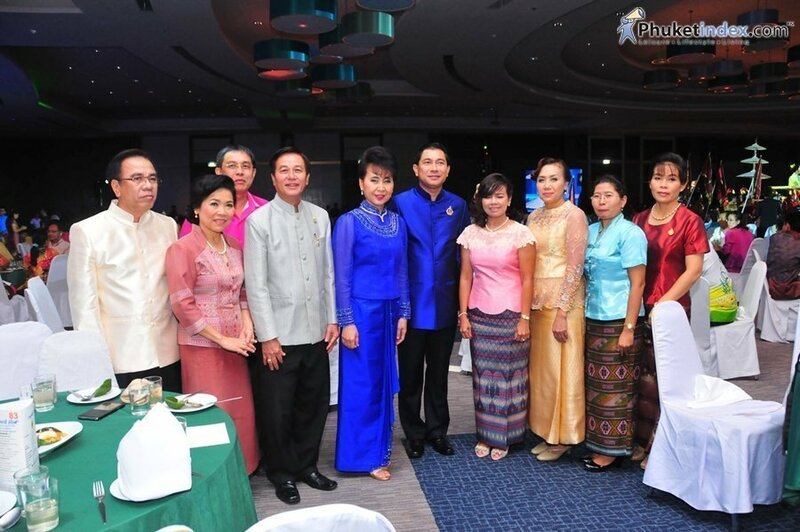 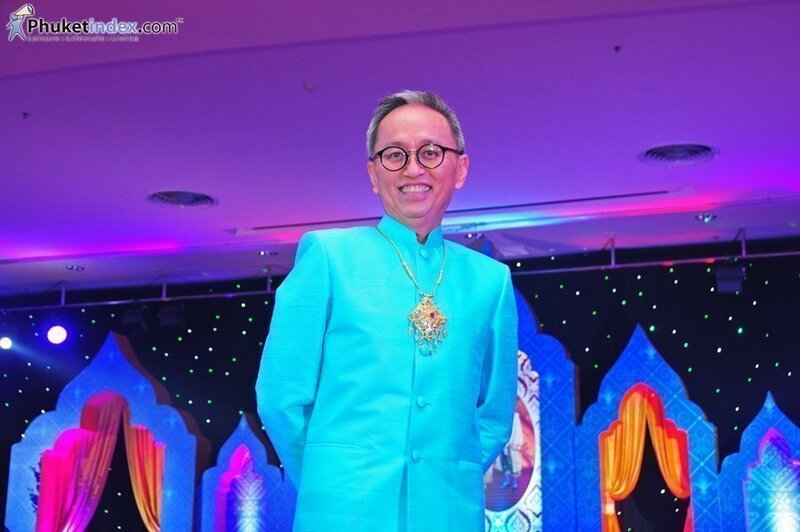 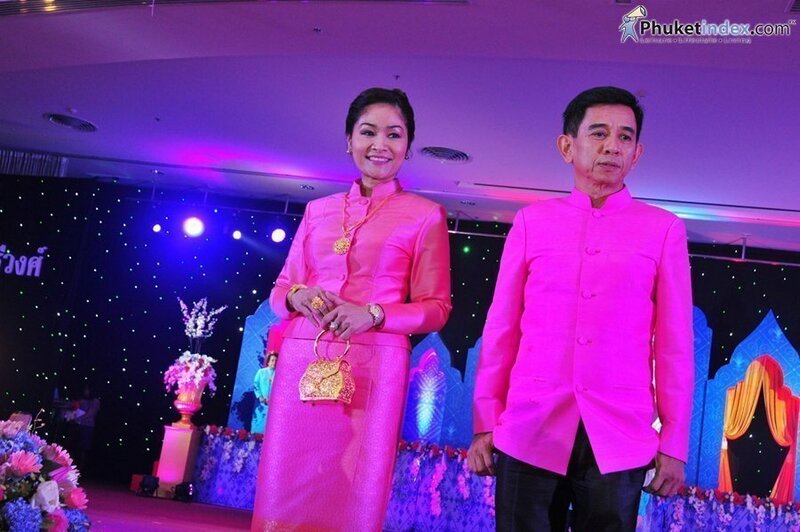 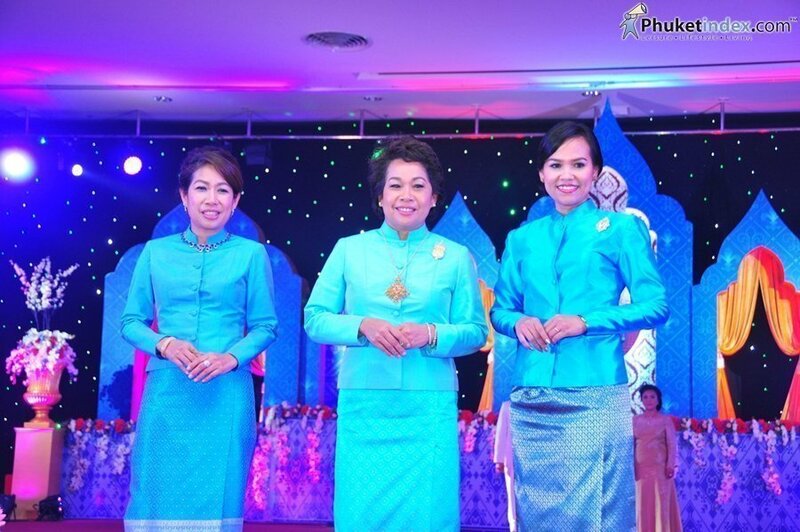 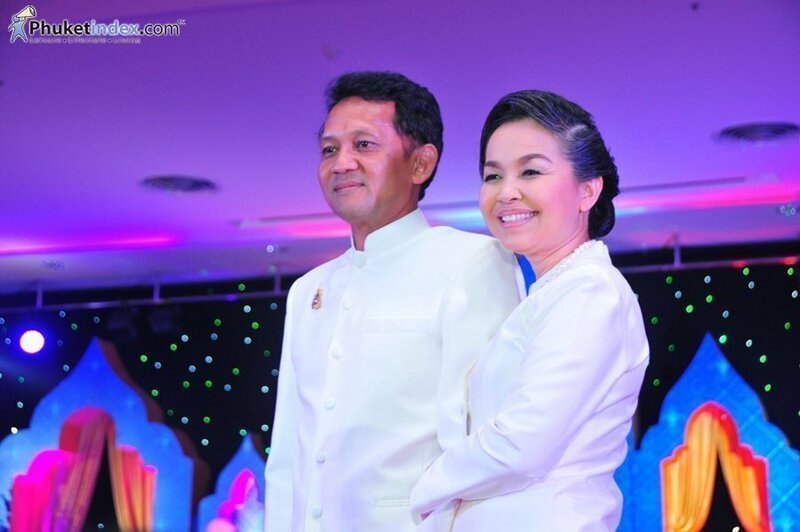 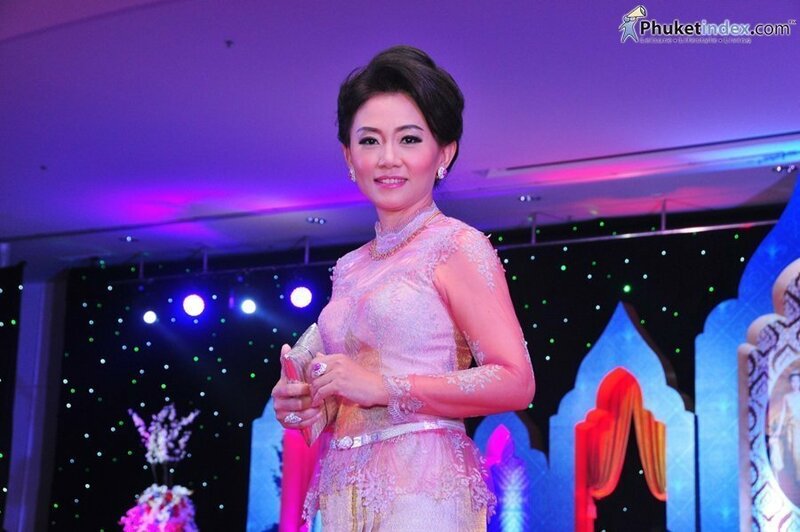 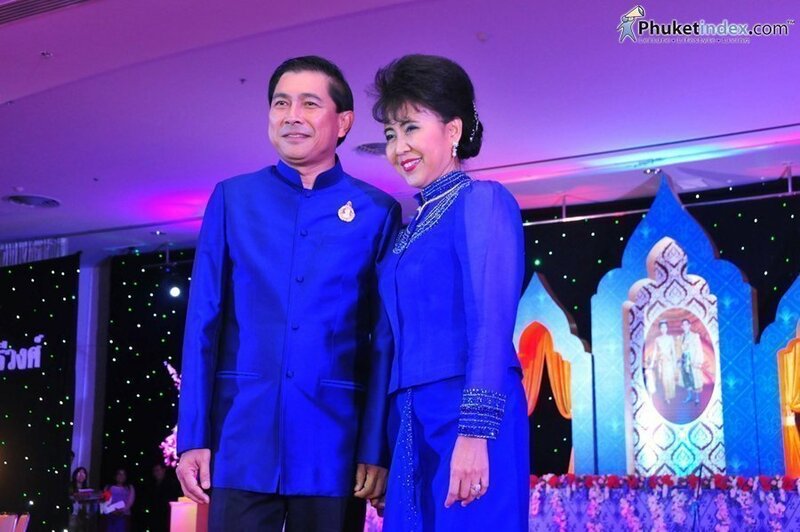 To honor HM the King, Queen, the Royal Family, and in homage to the Chakri Dynasty, an allegiance ceremony was held at the Sanamchai Field in Phuket Town, with a further celebration being held at Rajabhat University on the evening of 31st July 2014. 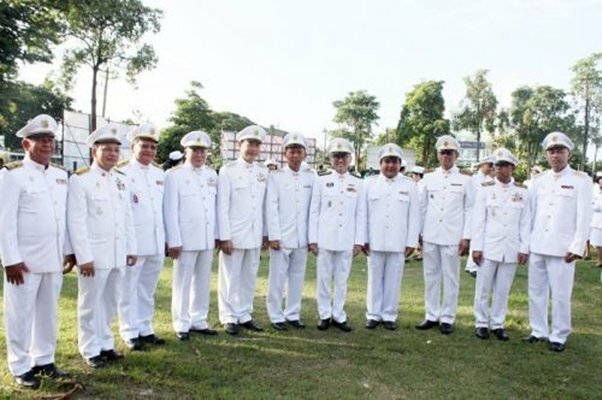 Governor Maitri and PPAO Chief Executive Paiboon led a contingent of civil servants from various government agencies including the PPAO to observe the three-day public occasion starting from July 29th. 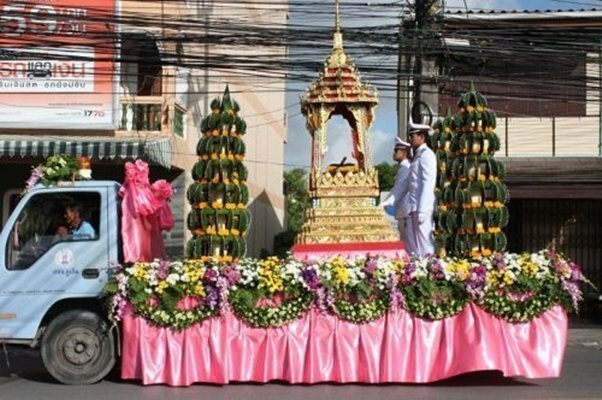 Entitled “Phuket Tai Rom Baramee Chakriwong” (Phuket under the glorious realm of the Chakri Dynasty), the ceremony featured alms giving to monks on Thalang Road on the first day, a royal sword procession on the second, and an evening event at Rajabhat University on the last day. 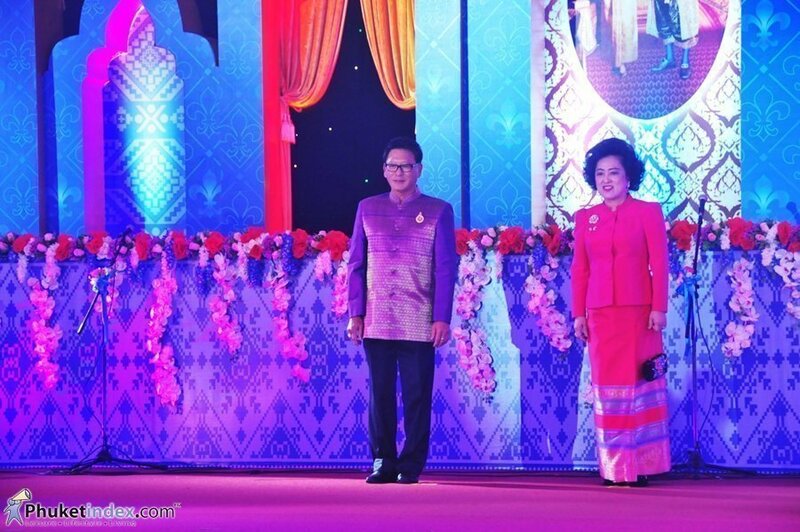 Activities at the evening event at Rajabhat University included: fashion show featuring Thai textiles organized by the Phuket Red Cross Association in collaboration with the Rajabhat University; songs and hymns in honor of Their Majesties performed by the civil servants; musical performances from a combined orchestra ensemble making up of musicians from the Fine Arts Department and the Royal Thai Navy; martial arts performances, and regional and mask dances organized by the Fine Arts Department.